People often say wistfully that it must be just wonderful living in this stress free peace out of the rat race. I always smile. 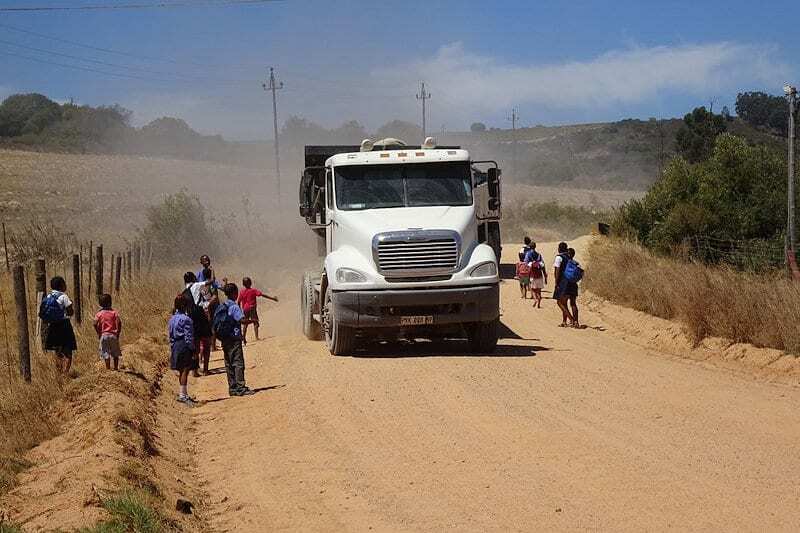 Quite apart from the millions of things to be done on this farm, there seem to be continual environmental battles to face – for our farm and for the Paardeberg as a whole. This is such a precious resource, such a wonderful wild mountain, yet it continually comes under onslaught. Things began some 10 years ago with the Malmesbury Aviation Estate (MAE). The application was for 300 houses located pretty much at the end of our dirt road – each house with a hanger for leisure aircraft and garage for car. The complex had a wide and long runway, fuel containers and a leisure centre with restaurant etc. And it was to be an import export point. Johan, who scans papers regularly, picked up that this was to be explained to the public in the Malmesbury library. We gathered friends living in the area to attend, and were faced with huge screens showing Learjet-size planes taking off and landing. Many of the attendees were awe struck by the positive pitch, except for our raggedy band asking uncomfortable questions and refusing to be subdued. Turned out there were to be – wait for it – ONLY 100 flights over the Paardeberg and Malmesbury predicted per day. Not to worry they said. WHAT!!!!!!!!!! 100 flights a day over the Paardeberg is the end of any tourism on the mountain and certainly the end of our business. One helicopter over our farm is so disruptive we go outside and wave them away and inevitably hear them long before and long after they pass overhead. No one in Malmesbury seemed to care about any of this, and so we gathered what committee we could and set about opposing this application. We didn’t have money for a lawyer so we did it ourselves, with a lawyer looking over our work for a small fee. It took 5 years, countless meetings and hours of writing legal type documents. We hammered them on every point we could. Noise and visual pollution, town planning issues, health and safety, heritage, the flight of the flamingo – you name it. And through our efforts, it kept getting pushed back requiring more studies from their side. Then it came to a point where the applicant asked for an extension. That was to be decided on the Wednesday. On the Tuesday our Johan again came up with the goods and found mention of the fact the person funding the operation out of a trust, had been picked up for perlemoen poaching. Ah so that was it! An export point for smuggling perlemoen. I went straight to the phone, sat on everyone in provincial government until I got to the head of environmental affairs. Here’s the case number I said. This is what this development is all about. And that was it. The ruling went against them the next day and nothing more was ever heard of MAE . It is really understandable to me that farmers want the income from a sand mine on their farms – although it has been shown that since it is such a short term income boost, the farms are not saved. I also understand that all the roads and new buildings require sand which must come from somewhere. 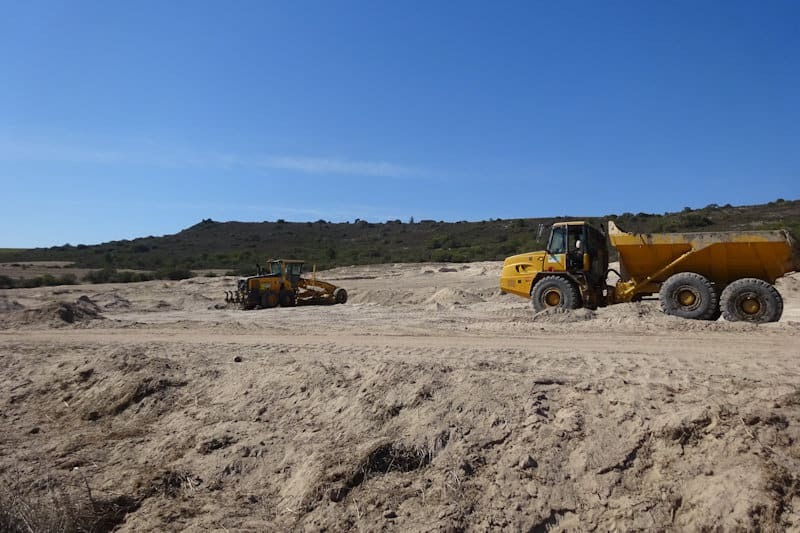 Thing is there are numerous mines in the general area around the Paardeberg but sand mines on the Paardeberg are a very bad idea. Firstly Paardeberg soils are fragile and easily displaced by water especially on an incline which is inevitable on the mountain. Despite common wisdom, mined land can never be rehabilitated once the top soils have been removed. Perhaps some crops struggle through on lower reaches but not for the most and certainly not for anything like fruit trees or vineyards. Secondly mines are horrendous to cope with in a tourist or nature area. 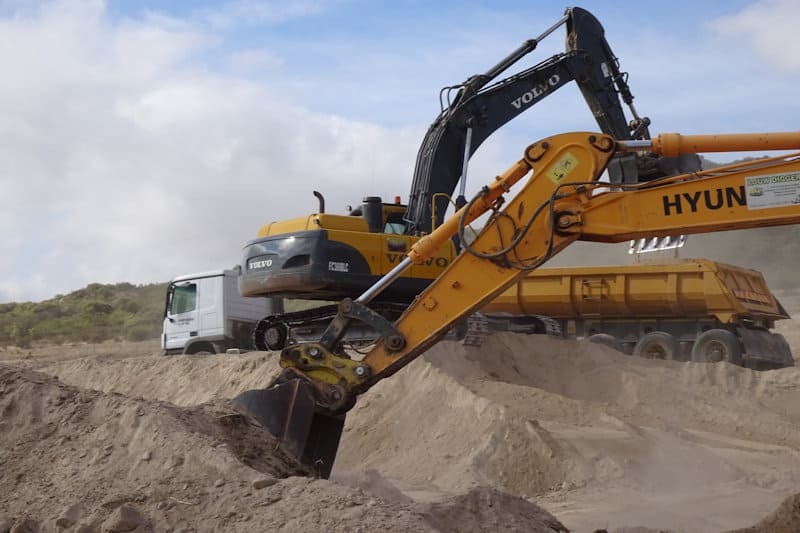 A constant cacophony over months of machinery with ugly dug up areas and dust plumes, 30 tonne trucks continually carting sand away on narrow farm roads. And finally there is usually no control over the mines which inevitably go bigger and longer than applied for and often are not followed by rehabilitation. Some years ago various sand mines got through application before it was realized just how destructive they were. We were directly involved when an application was made by our neighbour for a sand mine virtually at our gate. 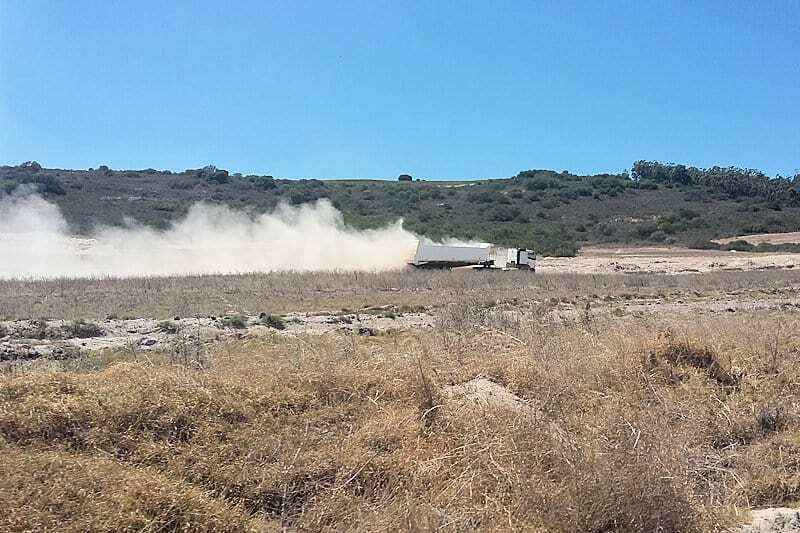 This would have compromised our farm and could have put us out of business so we had to get into gear, hire a lawyer and fight the application. It went on a long time with some unfortunate consequences but finally the department of mines turned the application down. 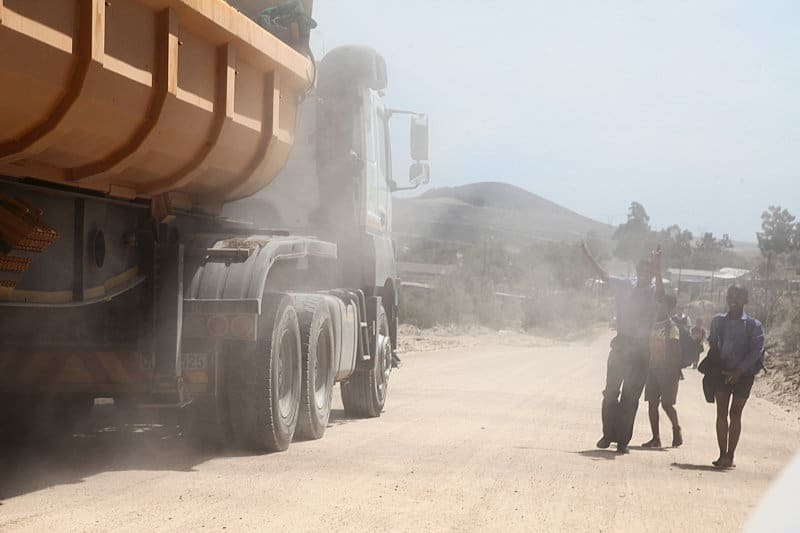 At the same time two mining applications were made on the other side of the mountain and this time an organization called the Protect the Paardeberg Coalition formed from concerned anti-mining landowners, and fought the mines. The fight went all the way to the courts where the case was won and was sent back to the Swartland Municipality to revise their decision. Currently that revision is being awaited. 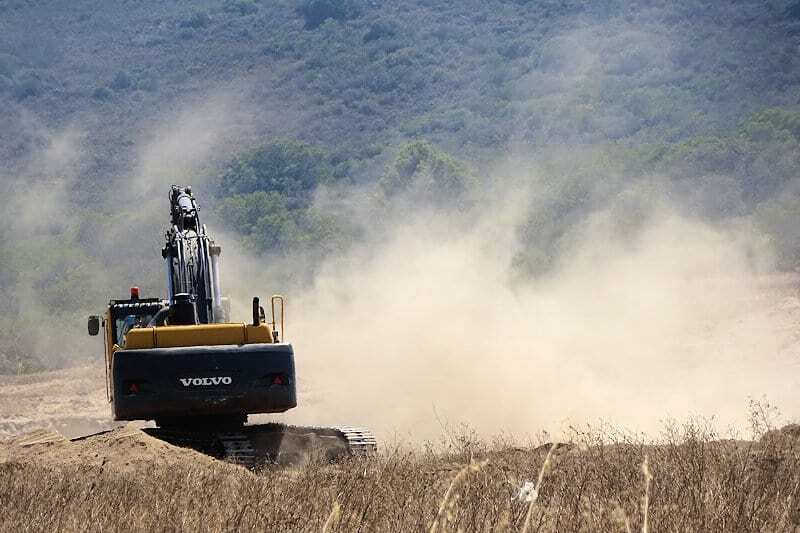 It has been a divisive issue for landowners – often setting neighbors against each other which has not been helped by seeming bias towards the mines by the municipality. 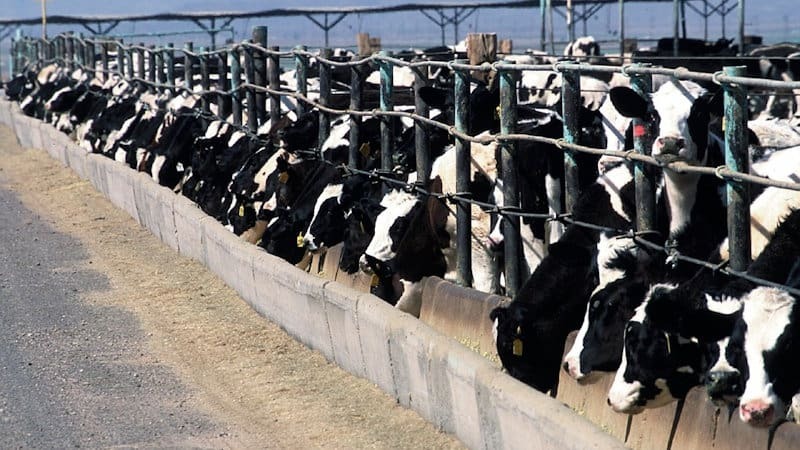 Large scale cattle farmers save money and increase their herds by putting their cows in long lines of semi open stalls all of whom feed from a long trough. There they stay except for the trundle to the milking facility twice a day. That they never see a blade of grass is bad enough, but their urine and faeces just run into galleys and end up in the ground. 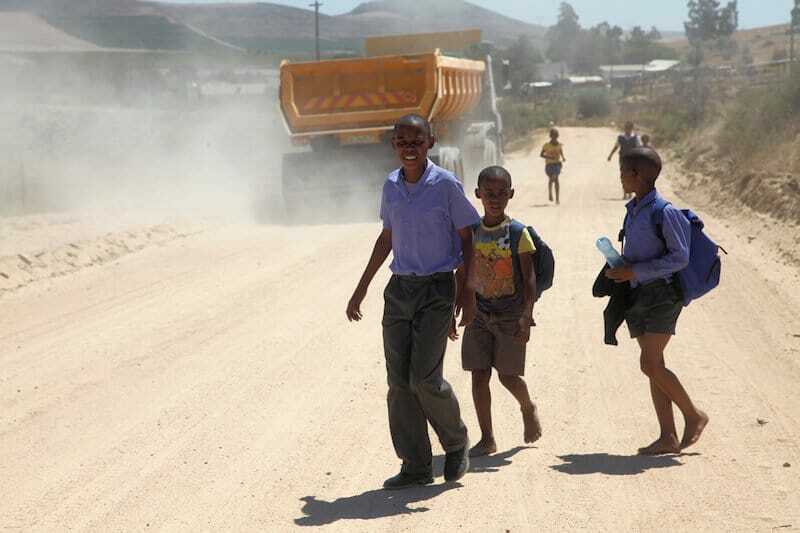 There they contaminate the ground water and it is this that has prompted the Paardeberg Sustainability Initiative ( PSI) in particular to fight for such facilities not to be sanctioned. Throughout the last years additional battles have been waged on the Southern side of the Paardeberg also with regard to aeroplanes. A fight against the expansion of Diemerskraal air field abutting the Paardeberg was waged particularly focused on illegal hangars and application for numerous additional flights, and more recently skydiving. Leisure planes are noisy and this is is particularly so for planes accelerating and de accelerating to drop off divers. This is ongoing and again funded largely by the PSI.